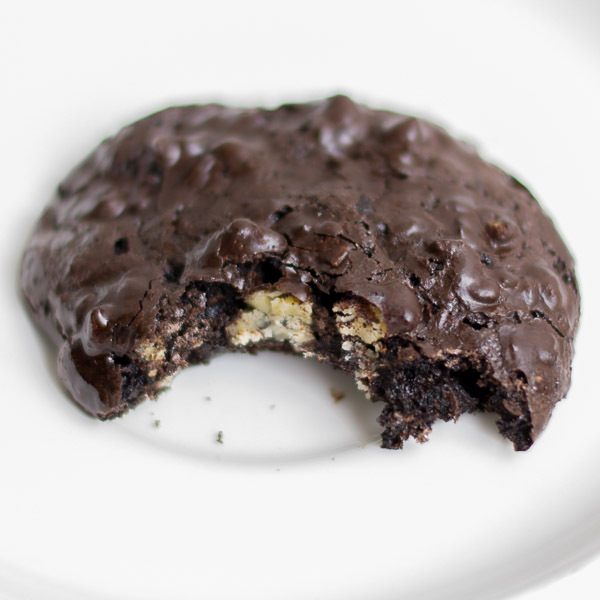 Chocolate Cookies, Gluten Free Chocolate Nut Cookies. Gluten free, Butter free, Chocolate Nut Cookies adapted from Francois Payard Bakery, New York. Excellent recipe for last minute entertaining as this can be put together in 5 minutes. I once had a chewy sophisticated Chocolate Nut Cookie at Payard patisserie in New York. It was then called as passover cookie. It was a chewy, chocolaty and a oh so good cookie. 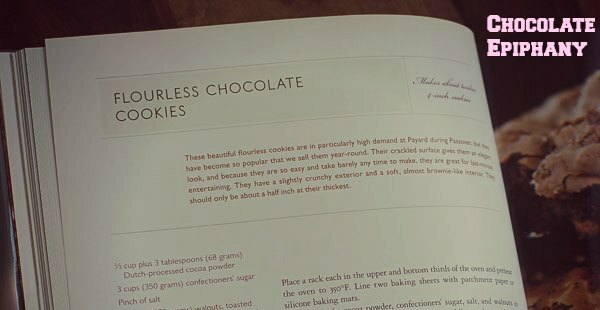 Sometime later I spotted the same recipe in his cookbook Chocolate Epiphany: Exceptional Cookies, Cakes, and Confections for Everyone . What surprised me was that it was such a simple recipe. 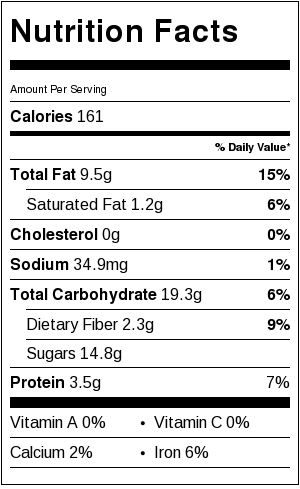 The biggest surprise was that there is no added fat. No butter, No oil. The only fat that comes is from the added nuts. A one bowl recipe which takes only 5 minutes to put together.The cookie is so chewy that you feel like you are eating a toffee. The goopy batter which doesn’t look very promising turns out into a super shiny crackled cookie. Its an incredible incredible recipe. Long live Francois Payard! You are the cutest french chef I have ever known and please bless the world with more recipes like this. This makes for a really splendid sweet chocolaty treat. Lets make this cookie and feel the epiphany. In this recipe, payard uses dutch process cocoa powder. Normal cocoa powder works too. 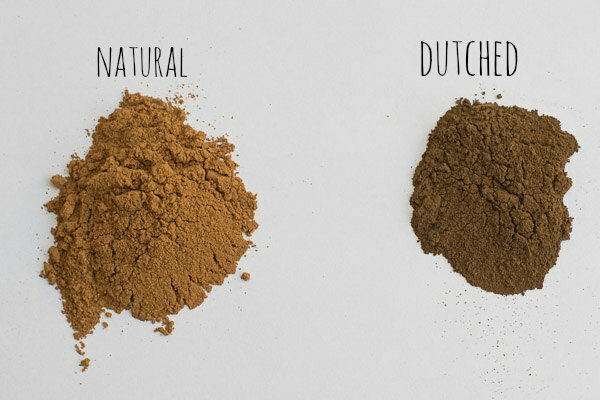 Dutch-process cocoa powder is made from cocoa beans that have been washed with a potassium solution, to neutralize their acidity. Natural cocoa powder is made from cocoa beans that are simply roasted, then pulverized into a fine powder. Dutching makes it darker and can help mellow the flavor of the beans. Lets go and make my apartment smell like a chocolate factory! Ready one, two, three – Go! Time to toast – Toasting nuts brings out their full flavor and gives them a more pronounced taste, since it releases their natural oils. Click Here to know how to toast nuts the easy way. Toast the walnuts and coarsely chop them and set aside. Preheat the oven to 350 degree F. Line a baking sheet with parchment paper. This is a very goopy and sticky batter and using parchment paper is absolutely necessary. Please don’t dump the batter right on the cookie pan. Use parchment or a silicone baking mat. Please please use parchment if you want to remove the cookies after baking from the pan. Sift the cocoa, salt and the confectioners sugar. Also sifting is important to remove the little lumps in cocoa and sugar which otherwise can never be incorporated uniformly in the batter. Add in the egg whites, vanilla and the walnuts. Just dump them all. 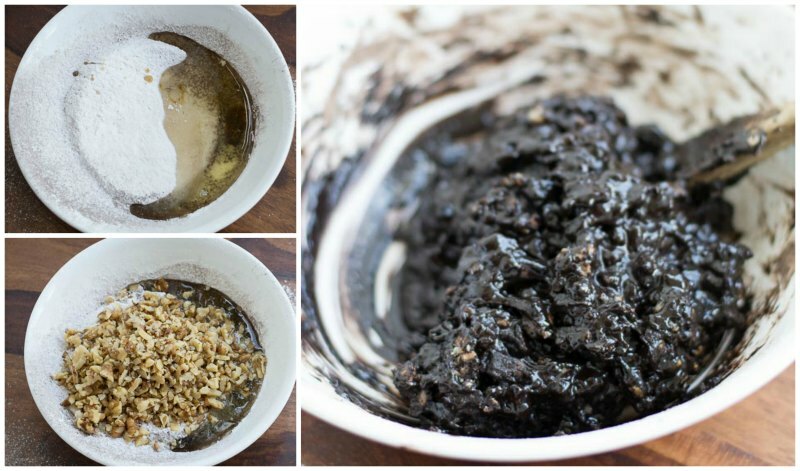 Mix with a wooden spoon till there is no more dry specks of sugar and cocoa. It will be very dry in the beginning but will all come together into a dark thick batter. With an ice-cream scoop or a generous tablespoon, scoop the batter onto the prepared baking sheet. Give space between the cookies so that they do not stick when they spread in the oven. 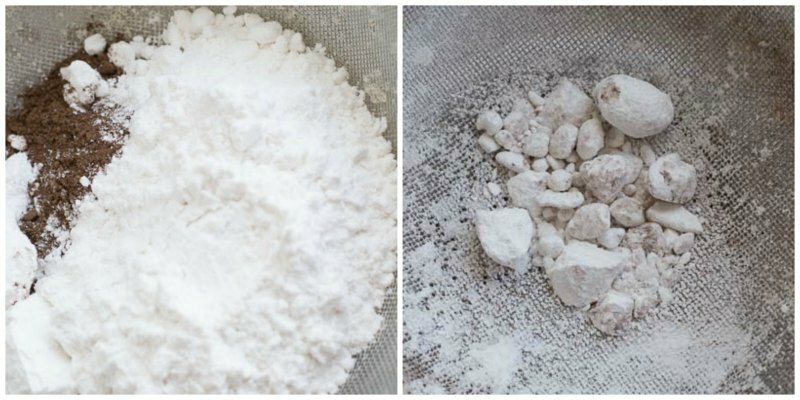 If you have extra batter, wait until the first batch of cookies is baked before scooping the next batch. 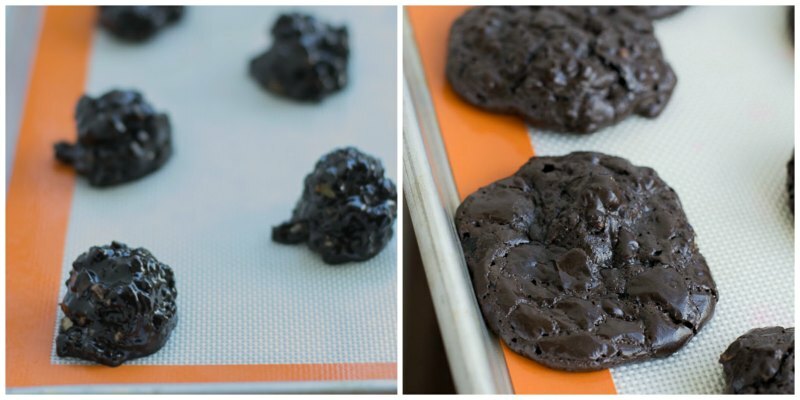 put the cookies in the oven, and immediately lower the temperature to 320 degree F. Bake for 20 minutes, or until small thin cracks appear on the surface of the cookies. Remove the cookie sheet and let it cool completely before removing the cookies from the parchment paper. It might break if you try to remove them while warm. Store in an airtight container for up to two days. 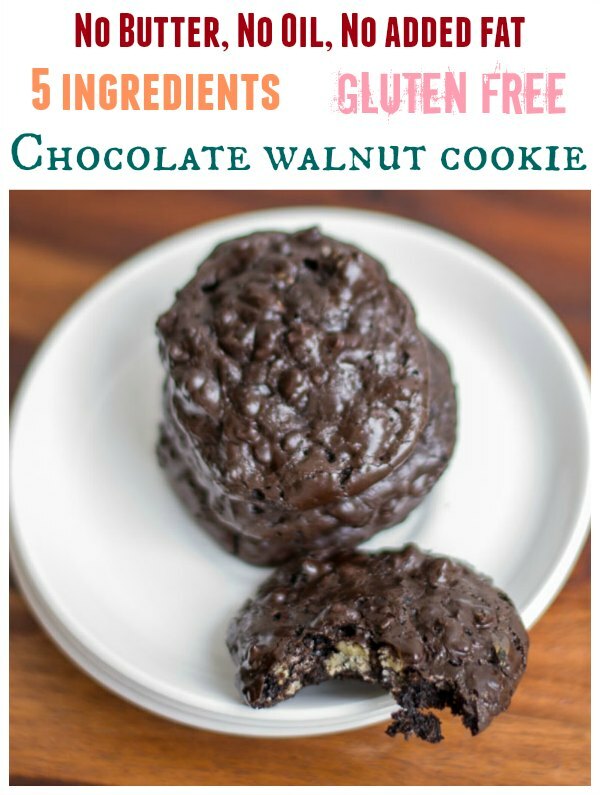 Gluten free, Butter free, Chocolate Walnut cookie adapted from Francois Payard Bakery, New York. Excellent recipe for last minute entertaining as this can be put together in 5 minutes. Preheat the oven to 350 degree F. Line a baking sheet with parchment paper. Sift the cocoa, salt and the confectioners sugar. With a ice-cream scoop or a generous tablespoon, scoop the batter onto the prepared baking sheet. give space between the cookies so that they do not stick when they spread in the oven. put the cookies in the oven, and immediately lower the temperature to 320 degree F. Bake for 20 minutes, or until small thin cracks appear on the surface of the cookies. Remove the cookie sheet and let it cool completely before removing the cookies from the parchment paper. How can we make these lovely cookies Eggless? Can I add chocolate chips in it.